Cape Town - The Bulls suffered a shock 56-20 drubbing in their own backyard courtesy of the bottom-of-the-table Chiefs on Saturday afternoon. While the sleeping giants from New Zealand entered the match on the back of five straight defeats and a draw, there was always a chance they would wake up at some point. Unfortunately for the Bulls, that awakening happened at Loftus Versfeld on Saturday, as the Chiefs outscored them by seven tries to two. After the two sides exchanged penalty goals early on, the Chiefs gave notice of their intent with the opening try in the 25th minute, a simple backline move through the hands that ended with winger Solomon Alaimalo strolling over in the corner. 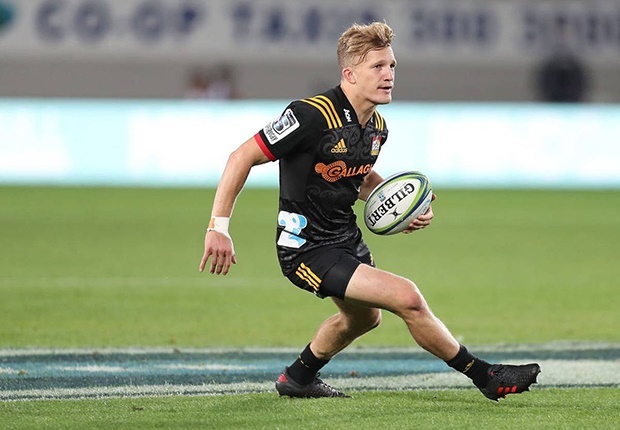 Seven minutes later, their seven-point lead stretched to 14 after fullback Damian McKenzie made the linebreak, allowing late call-up Alex Nankivell to snaffle the loose ball and run in for the try. Another penalty from Handre Pollard brought the hosts back to within eight points, but the Chiefs weren't done yet. With the clock winding down in the first half, a series of pick-and-drives ended with captain Brodie Retallick crashing over by the posts to give the visitors a commanding 24-6 advantage at half-time. The Bulls needed to respond early in the second half, but instead it was the Chiefs who picked up right where they left off as Retallick bagged his second try after just two minutes of play. It was a poor kick from Pollard that put the visitors on the front foot, and after another relentless period of pressure, the ball went out to the right where the All Black lock was waiting to cross the line and score. The carnage continued as the Chiefs scored their fifth try shortly after the hour mark courtesy of a kick through from McKenzie that bounced generously for Nankivell, who picked it up and crossed over for his second of the afternoon. With McKenzie proving deadly from the spot, the Chiefs lead had by now stretched to 38-6, so not even a try from Jesse Kriel shortly after could do much to aid the Bulls' cause. The final 10 minutes saw another flurry of tries, with substitute Te Toiroa Tahuriorangi and Alaimalo adding two more to the Chiefs tally, and Burger Odendaal scoring a late consolation for the Bulls before they were finally put of their misery by the final whistle.